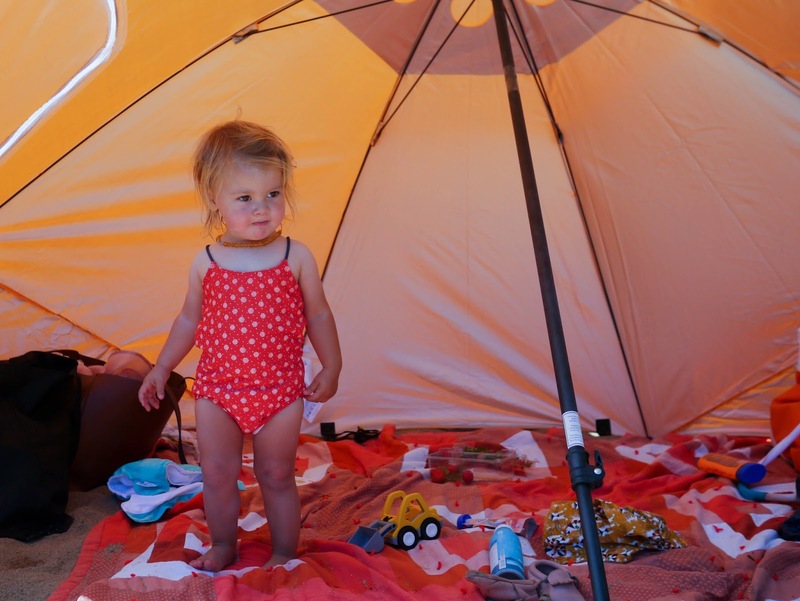 With the hot weather that we've been experiencing lately it seems fitting that this installment of my 52 Week Project (which is actually for last week as I'm behind... again!) features some water based fun. 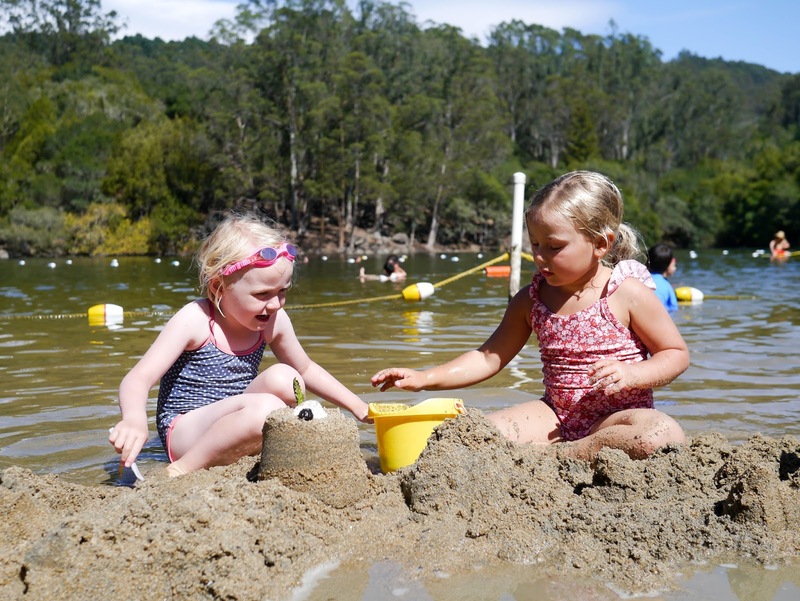 As an end of Summer Vacation treat the girls and I spent an afternoon with friends at Lake Anza in Tilden Park, high up in the Berkeley Hills. We had such a fun time at the lake that before we knew it, the whole afternoon had slipped away. 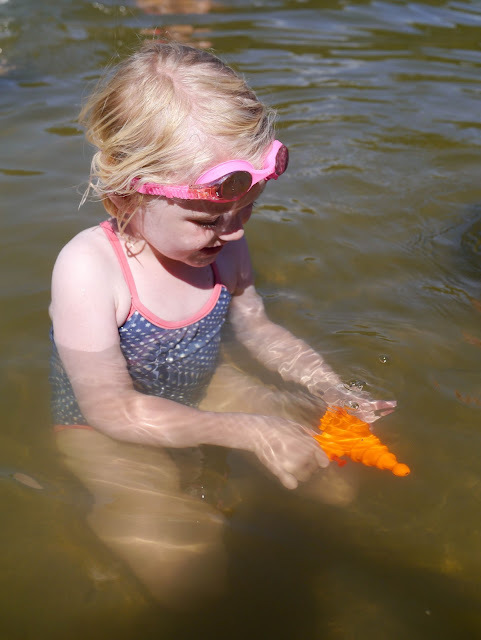 The girls splashed about in the cool water, they made sand castles, they chased each other with water pistols, and they played all sorts of made up games. Definitely a fun afternoon to remember. Our afternoon at Lake Anza wasn't the only time we went swimming over the past week. In fact, it was just one of many dips in the water we took. Every week we find ourselves spending a good amount of time at our local YMCA for swim classes. All three of my girls swim at the Y. Ava has recently joined the swim team and trains three times a week. 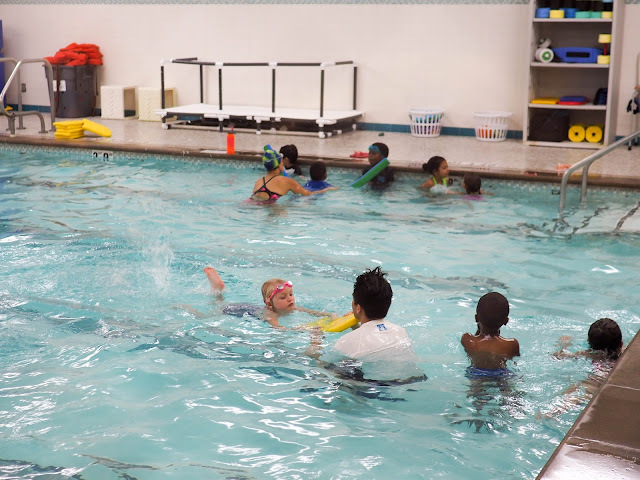 Lola takes swim classes twice a week after school (previously once a week during school hours before she was a big school girl). And Mathilde and I take a parent and child class once a week. 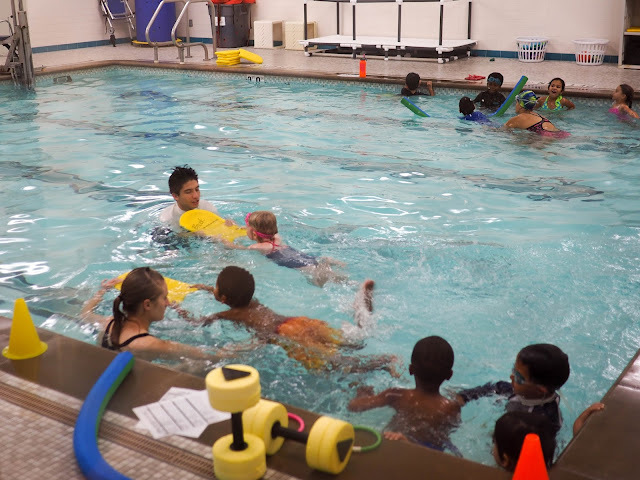 All up we find ourselves at the YMCA for six swim classes/training sessions a week. Ava swims in the lap pool with her swim team. 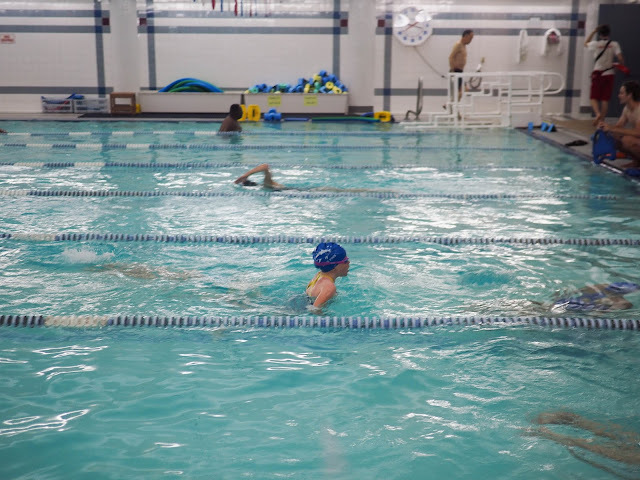 She swims all four strokes (freestyle, backstroke, breaststroke and butterfly) and spends most of her time focusing on stroke development, building endurance and gaining speed. 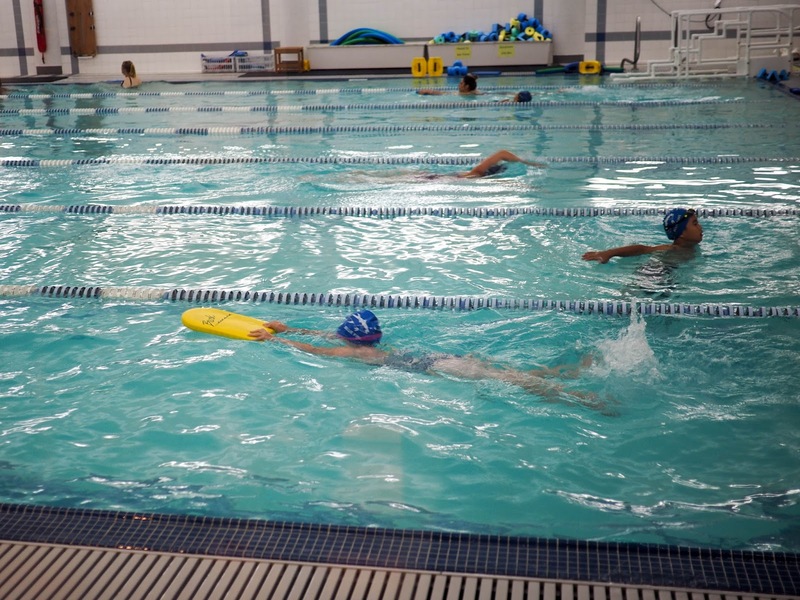 The swim team trains Mondays, Wednesdays and Fridays for an hour each time. It's a lot of hard work, but Ava loves being in the water. She's also pretty competitive so being in the swim team suits her well. 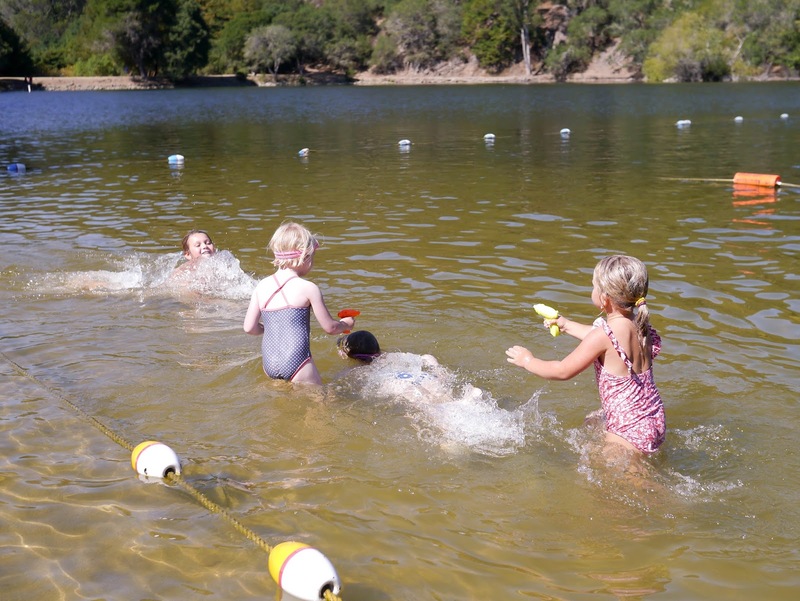 While her swim team doesn't compete against other teams they do race against each other for fun which Ava enjoys. Lola loves being in the water but isn't quite as confident as Ava was at the same age. Until relatively recently she didn't even like getting her face wet and refused to go under water. She has persevered with her swim classes though and has recently gone ahead in leaps and bounds. She's keen to catch up to friends who have moved up to higher level swim classes. In the past Lola swam on Friday mornings but now that she's a big school girl she swims twice a week in the evening. In fact, Lola swims at the same time as Ava which makes things easier for me. Lola's classes last half an hour so by the time she finishes her class, showers and gets dressed we can still watch the last twenty minutes of Ava's training. Mathilde is a total fish just like her biggest sister. 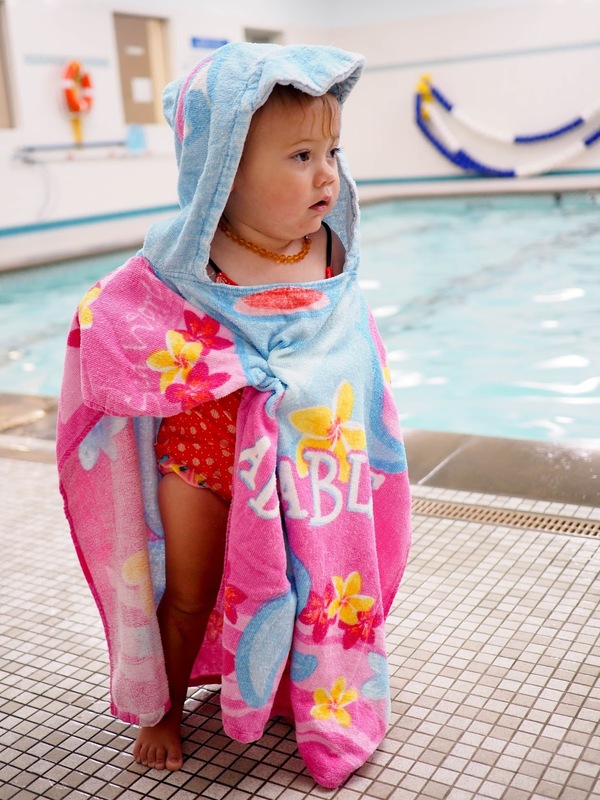 Despite being one of the younger toddlers in her parent and child swim class, she's probably one of the most advanced. She is always happy to go under water and has no fear of trying out new things. She has always loved being in the water right from the first time she went in a pool at just a few months old. 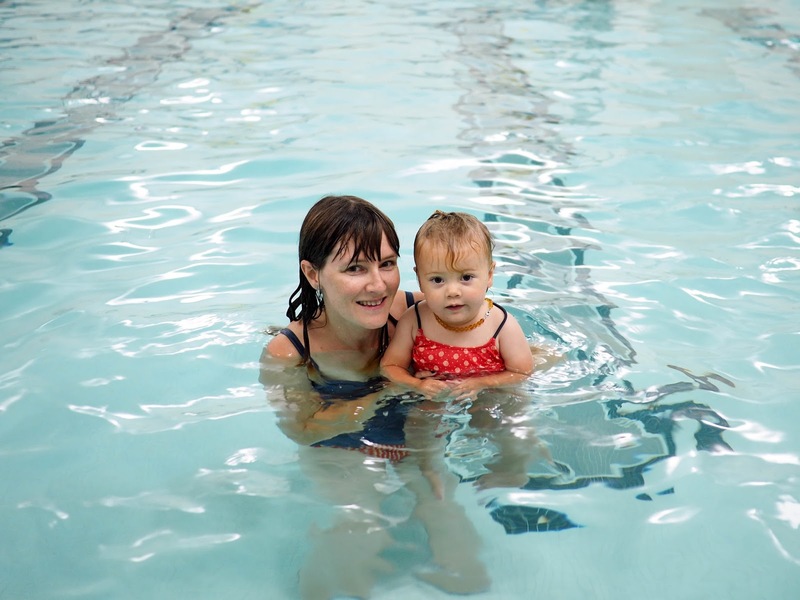 Like Ava and Lola, Mathilde has been taking swim classes since she was six months old, which means that she's been swimming weekly for ten months now. 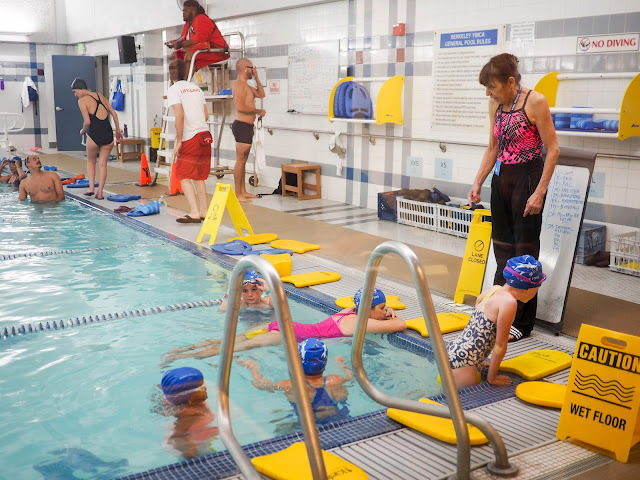 As I was in the pool with Mathilde I wasn't able to get any actual action shots of the class which is a shame. Here she is after the class finished. It's so hot in our apartment right now that my own photos are making me feel a little jealous. I could definitely do with a dip in a nice cool pool or lake right about now!